YOUR ULTIMATE BIKEPACKING GUIDE TO THE AZT. 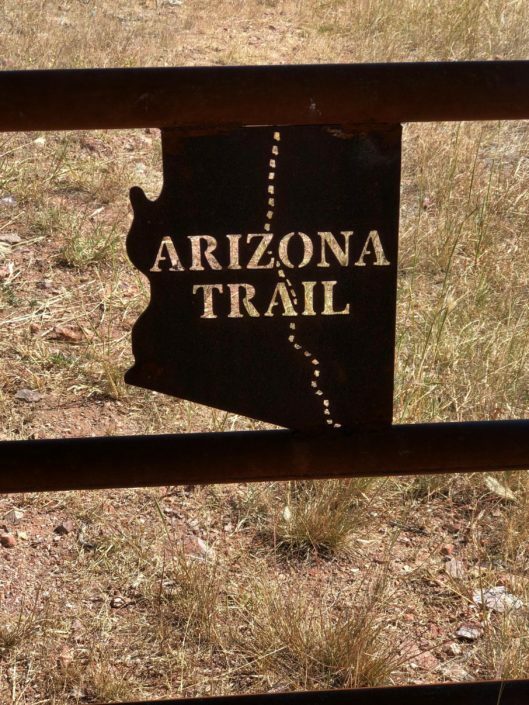 Have you ever wondered about exploring the Arizona Trail by bike? 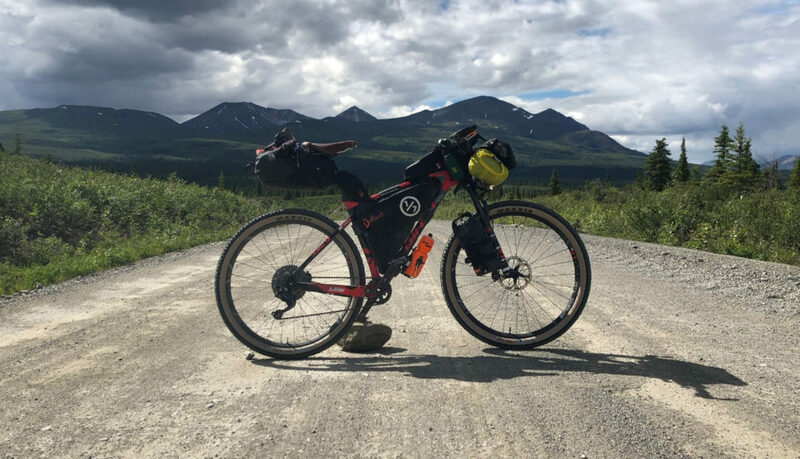 I rode it as part of the Bikepacking Triple Crown. The experience was amazing. But it also took a lot of planning. If you’re like me and have a passion for the sometimes extreme, then read on. I put this page together for people like us, explores and adventurers. 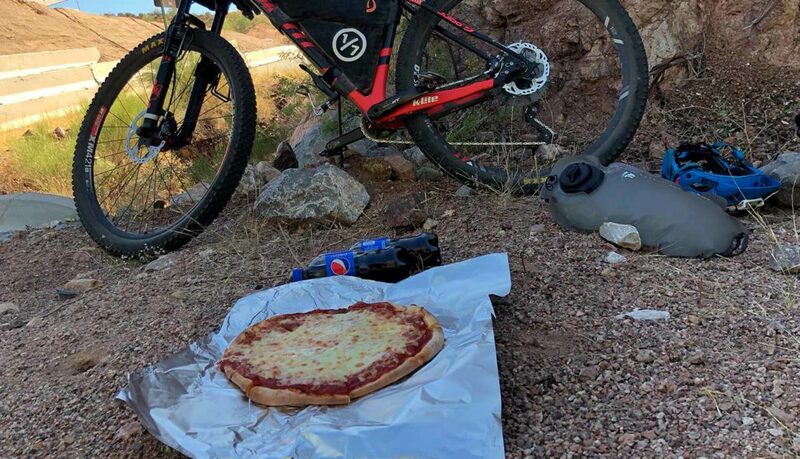 I realized there was a need for an Arizona Trail Guide, for bikepackers. The page is broken down into simple sections so you can easily get a feel for the trail. This page is part of a larger all inclusive guide, so you can focus on riding your bike instead of searching the internet for hours on end. Where does one start? This page is a great start but if you want to know more, checkout the “AZT Resources” button below. But be ready for what comes next. You just might find yourself on a plane bound for Arizona. 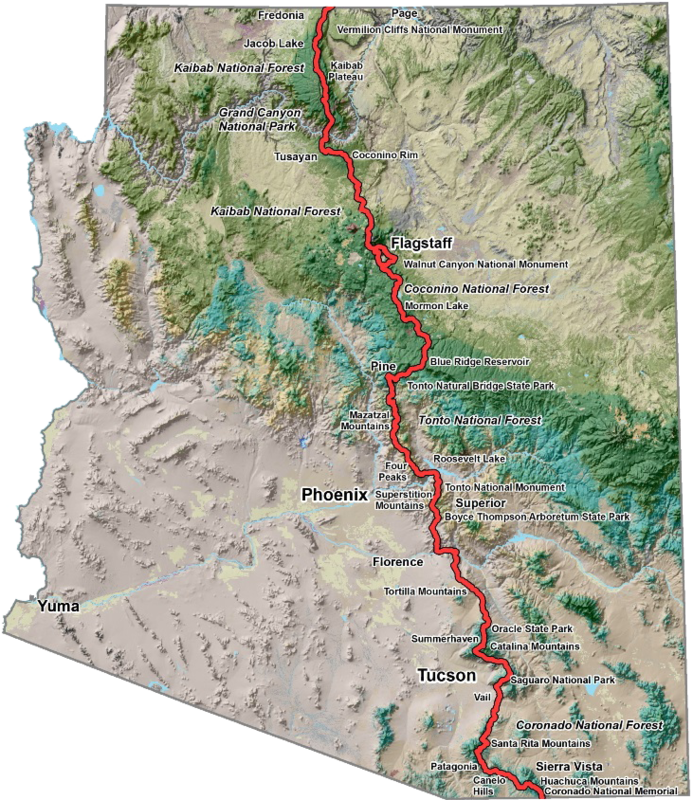 The Arizona Trail is an 800 mile multi use recreational trail that extends from the Mexican border to the Utah border. 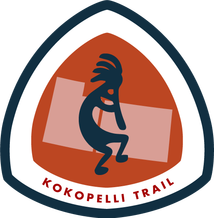 Completed in 2011 the trail connects some of Arizona’s most beautiful and yet rugged features. 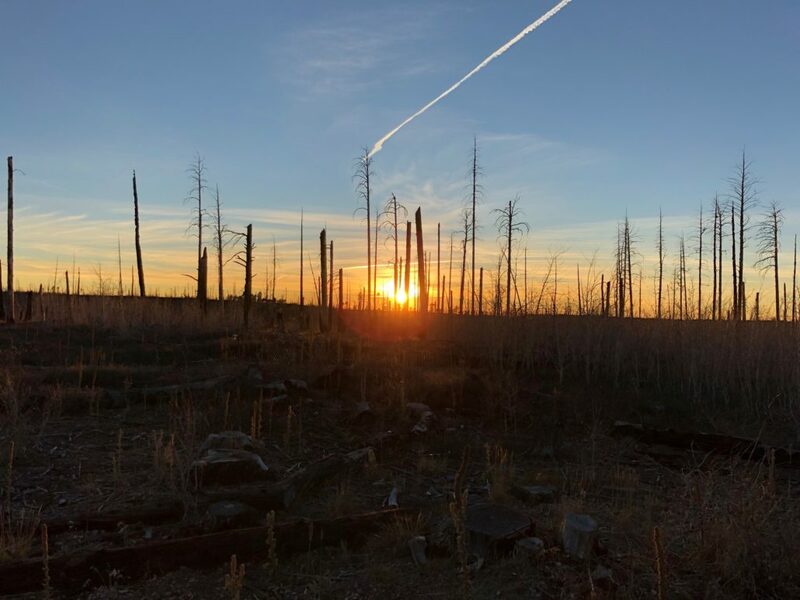 Users get to experience historical and cultural sites, the Sonoran Desert to the boreal forests surrounded Flagstaff, the Gila River, Mogollon Rim, San Fransisco Peaks, Superstition Mountains, Grand Canyon, the Kaibab Plateau, canyons, valleys, peaks and more. Thru-bikers take a slightly different route than their fellow thru-hikers to avoid the many Wilderness areas along the route. The result is bikers only travel 757 miles to complete their thru-bike. Using dirt roads, trails, and some pavement thru-bikers circumnavigate Wilderness areas. 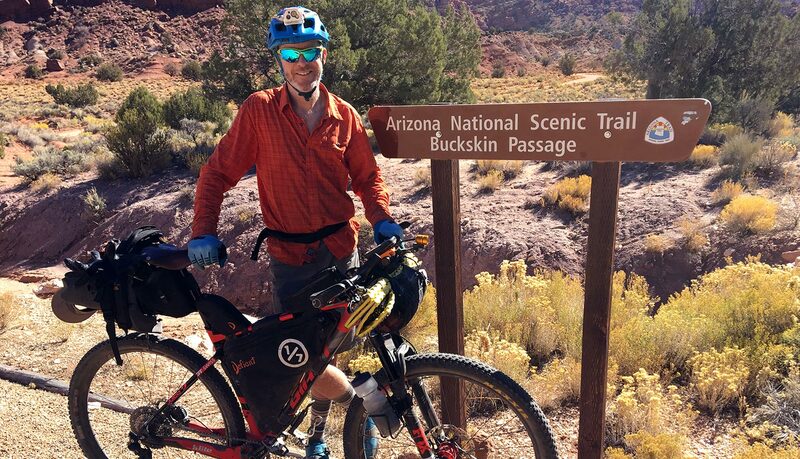 Thru-biking the AZT is not an easy task. I can’t stress enough how important doing your homework before you go is. The more you know the better your chances of getting to Utah. Trust me I know by experience! 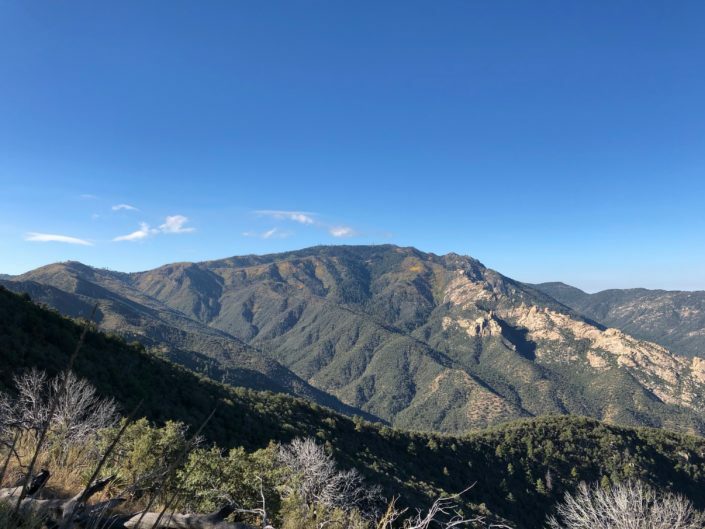 The best times to race/tour the AZT is during the Spring and Fall. Summer is far too hot and in Winter the higher peaks and ridges are covered in snow. If you choose to race/tour in the Fall, do not think because it’s Fall the temperatures won’t be hot. I started on Oct. 7, 2017 and during my first four days the temperature was over 95 degrees. 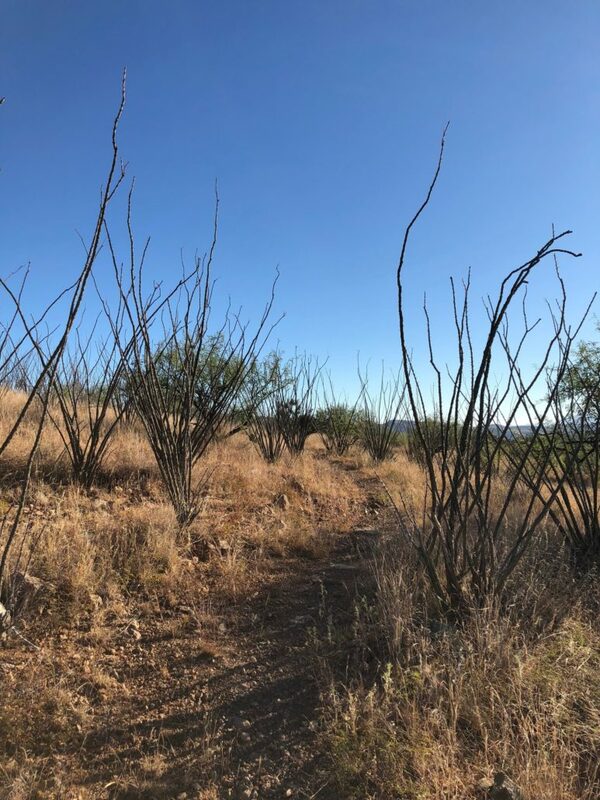 Like any big adventure, the AZT is not something to take lightly. Do your homework, know the route, know your options, and use your head when out there. Help could be hours or days away! The AZTR 300/750 are not organized or sanctioned races in any way. They are seen as big group ride that follows a set route, at a set time, a short list of rules and that’s it. Those who take part should understand this and obey the gentleman’s agreement to “race” fairly and follow the rules. There are also no checkpoints, race organizers, or aid stations of any kind. You are responsible for yourself, period. 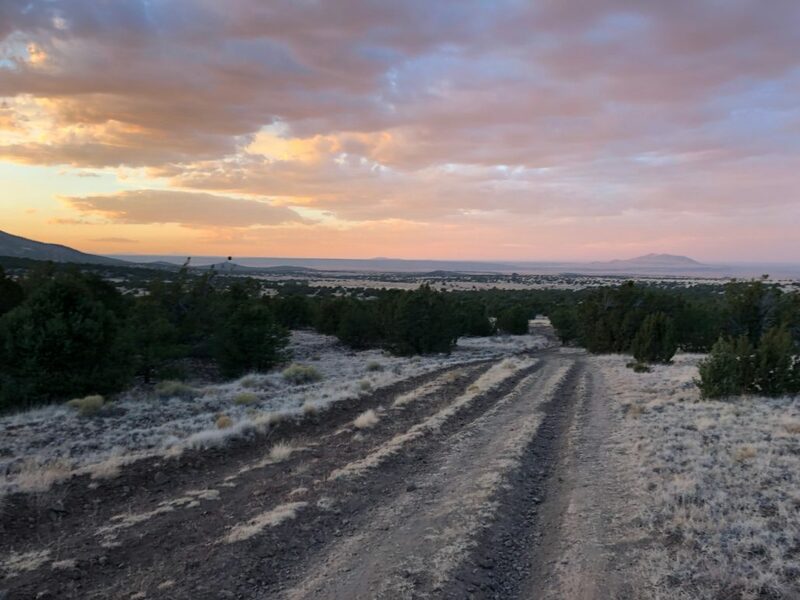 The Arizona Trail Race (AZTR 750) starts on the US/Mexico border , while the 300 starts about 14 miles north of the border at the Parker Canyon Lake, usually about one hour later. Both routes follow the same path to PickettPost, the finish the the 300, where the 750 continues to Utah. *Subject to change, See AZTrail for exact info. Bikepack racing is usually not organized, is without entry fees or prizes, but there are a set of rules all bikepacking races follow. The rules are put into place to create a level playing field for all those who participate. 1. One must complete the entire route under their own power. 2. Outside support is not allowed. 3. No caching of food/supplies ahead of time. 4. No use of motorized transportation or hitch-hiking, EXCEPT for travel to hospital/medical care. 5. Unplanned assistance from other racers is ACCEPTABLE. 6. Trail magic OK – but please, no begging or fishing (hinting). 7. Mailing resupplies ahead to Post Offices is ACCEPTABLE. For full rules visit AZTrail. There are two (2) permits needed to race the AZTR 750. The 300 does NOT require a license. You need a permit to hike the Grand Canyon and one to crosses a State Land Trust. The Land trust permit is $15 and can be found here. 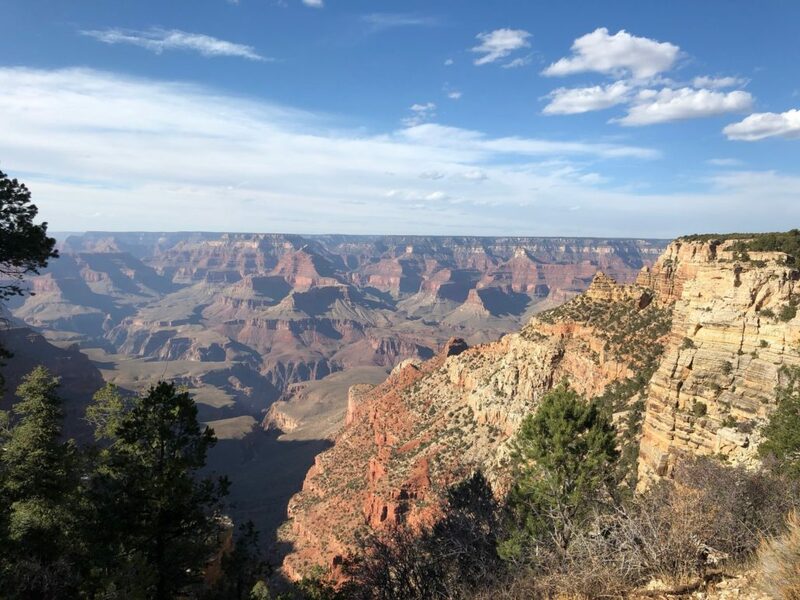 If you plan to sleep within Grand Canyon Park that requires its own permit when must be obtained from the Backcountry Ranger Station at the South Rim Village. Permits are $18. You’ll be getting a walk up permit. If you plan on breaking up the Ditch, as if you can stay in the Stock Camp at Phantom Ranch. It’s convent and close to the trail. More information can be found here. Riders and racers are encouraged to carry a Spot tracker, though they are not mandatory. Due to the remoteness and sheer difficulty of the trail I personal believe you’d be crazy not to. Racers can sign up at Trackleaders.com one month before the race if they choose to. You can rent a Gen3 Spot from Trackleaders.com around one month before the start of the race. Check Trackleaders or Bikepacking.net forums for information at that time. The Arizona Trail Association has no ties to the race but they did build the trail and maintain it. It’s through their good graces you have this amazing trail to ride. Please consider joining the ATA. Membership is only $35 and as a member you get additional access to trail conditions, water reports and more on the ATA website. 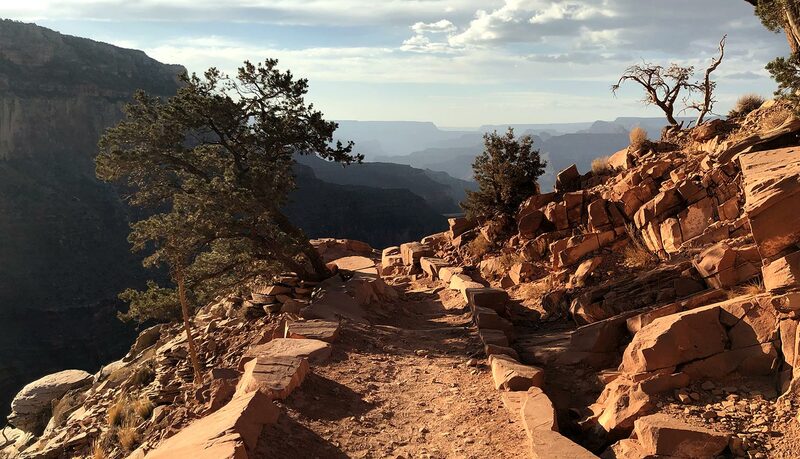 The Grand Canyon is by far the crown jewel of the AZT, but also one of the most physically challenging features of any of the bikepacking routes in the world. The AZT offers amazing diversity. The terrain, flora and fauna are truly amazing. 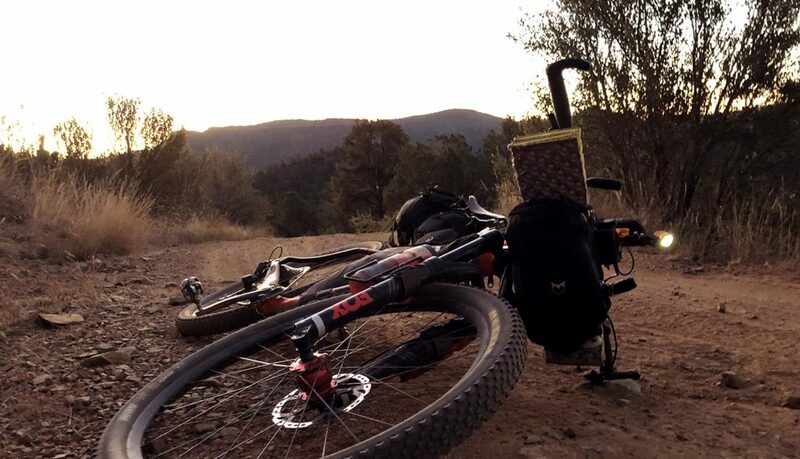 In terms of ride-a-bility the AZT offers the best mountain biking experience of any bikepacking route. 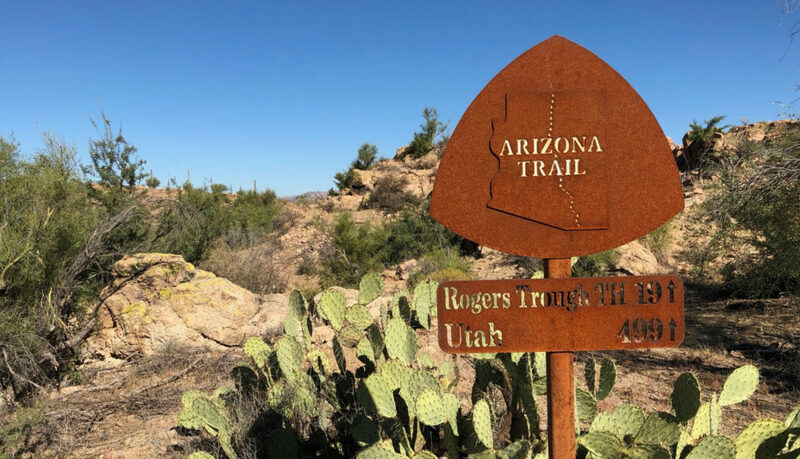 The AZT is a bucket list item for anyone. 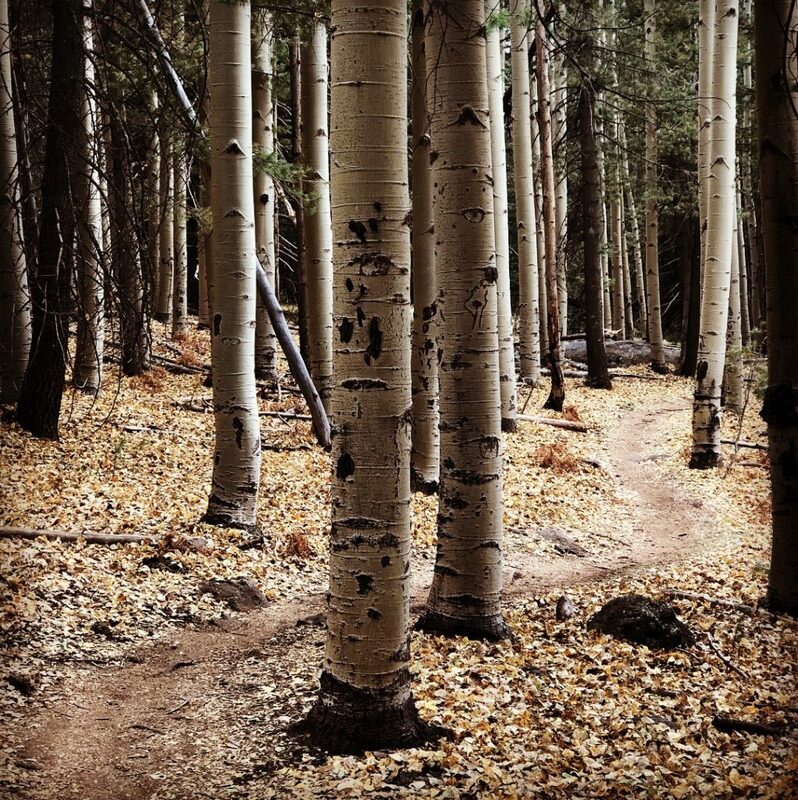 The Arizona Trail serves up incredibly demanding singletrack and punishing climbs, making it an extremely difficult trail. 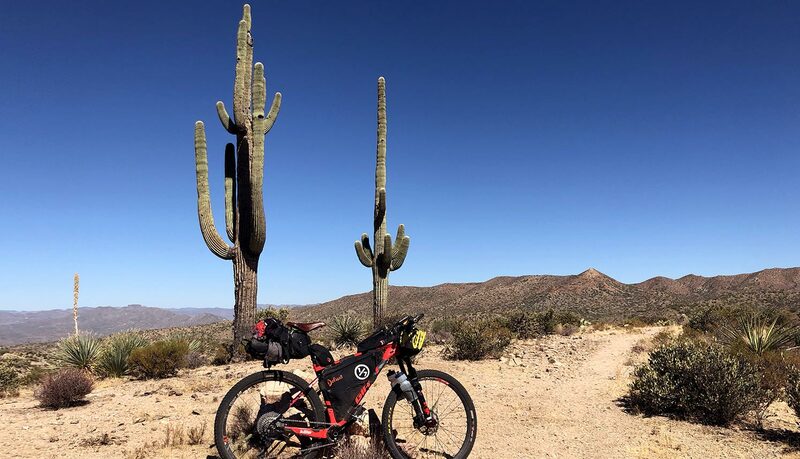 The desert environment of the AZT can be unforgiving. Do not underestimate the weather or the flora/fauna, as the results can be dangerous. 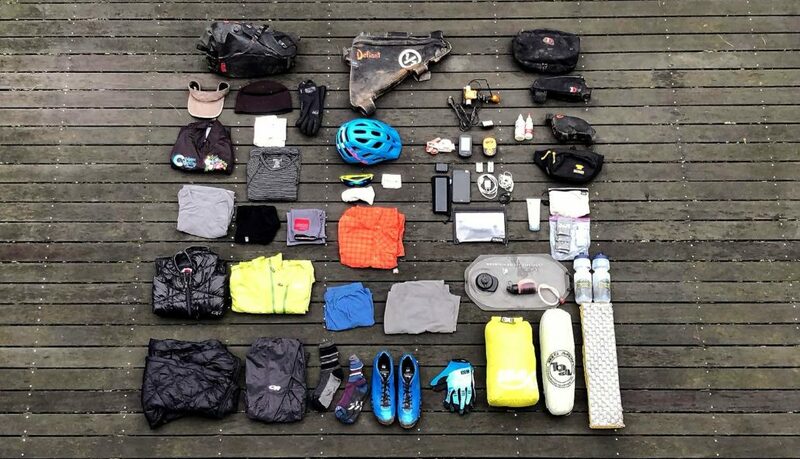 Keep your gear set up as light as possible, as there is quite a bit of H.A.B “Hike-a-Bike“, but don’t skimp on tubes. 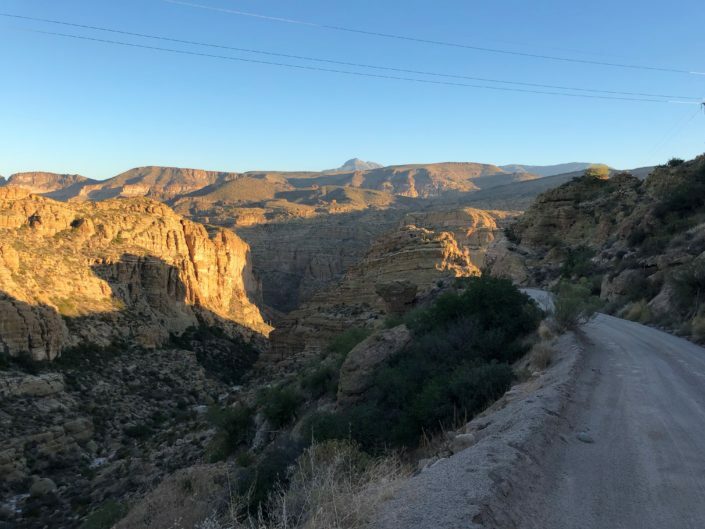 The Grand Canyon is the top feature of the AZT. Thru-bikers have 3 options: #1 Ride 200 miles of pavement around, #2 Hire one of the many shuttle services, #3 Disassemble your bike and carry it. National Park rules say your wheels cannot touch the ground. This is the shortest and but most physically demanding option. The AZT has more water sources than you’d expect, giving the environment. That said you might not want to drink from them all. Some waterless stretches around 50 miles or more. Plan/research your options carefully. Food resupply on the AZT is not terribly difficult. That said most stretches between resupply are around 100 miles. Depend on pace that could be 3+ days, due to the nature of the terrain. See my resupply post for more information on both Water and Food resupply options. Camping along the AZT is not hard to find. There are plenty of primitive and developed options for camping or one can usually sleep along the trail side. 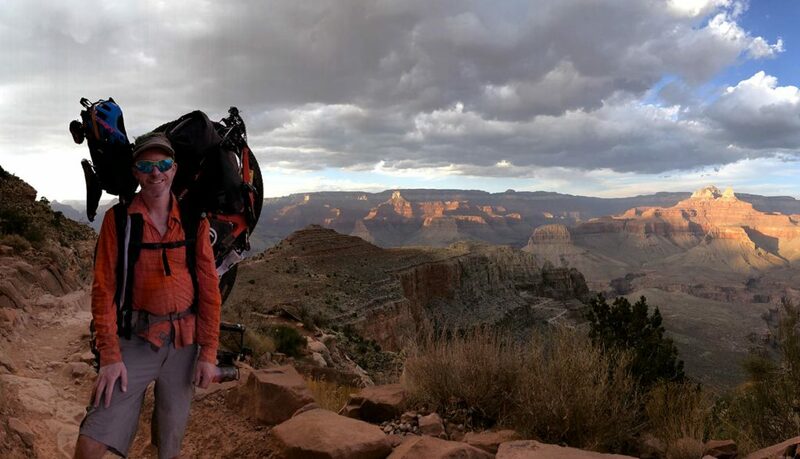 Only the in Grand Canyon does one need a special permit to camp. If you’re using the Guthook app, their track isn’t the same as the official race track. Because Guthook has a different mtb track and ATA lists water and town information for the hiking route only, both the Water Report and town info doesn’t match what a racer will encounter. All points of reference on the Guthook and ATA site will have DIFFERENT mileages than the official GPX route. 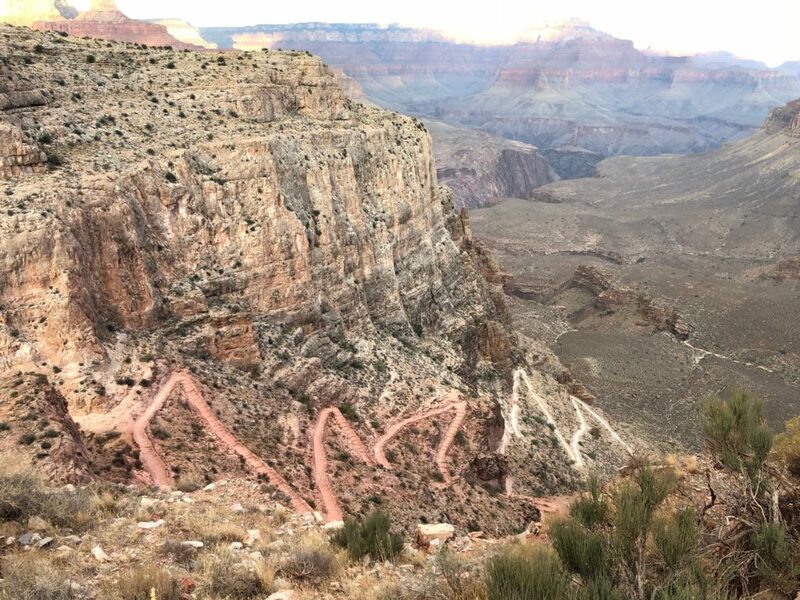 So you’re planning to race/tour the Arizona Trail. Are you wondering where to start your planning? The more information you have at your finger tips the better your chances are you’ll finish your AZT thru-bike. Getting to and from the AZT is the first and last test of the trail. Find out how to simplify it with our Transportation Guide. 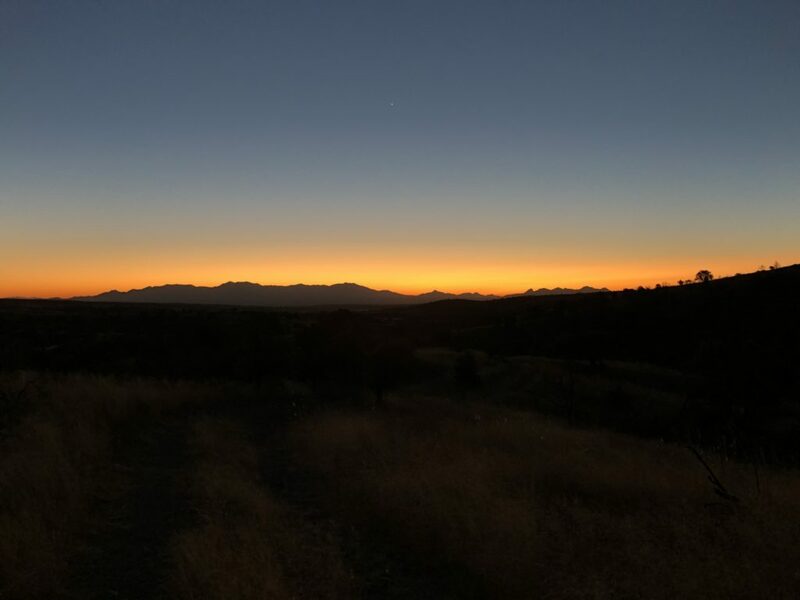 A collection of posts about the Arizona Trail and personal dispatches from my ITT of the trail during my triple crown.